It's probably pretty obvious that the angel statuary came from a grave yard ... while the place isn't somewhere we like to visit very often, I do tend to frequent them a little more than other people. 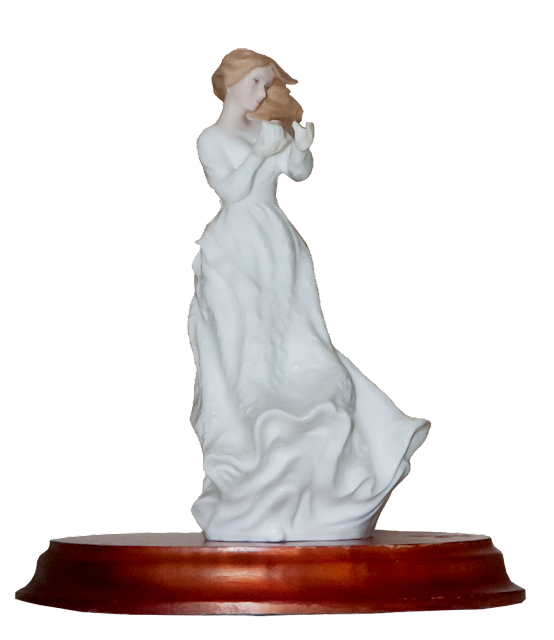 The statues are often very detailed and beautifully done, and even some of the carved marble or granite monuments can be beautiful when the sun hits them. The other statues aren't really "statues" in technical terms. 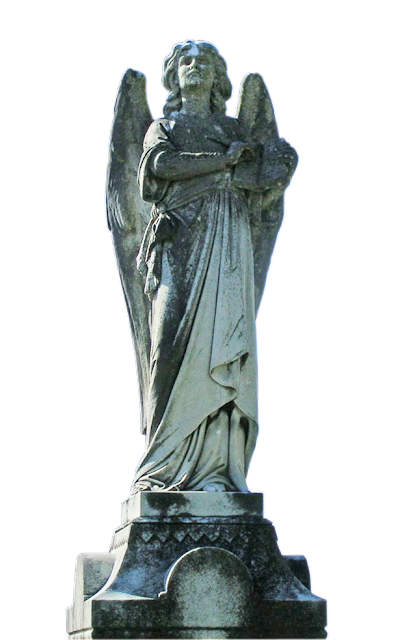 Smaller pieces like those are referred to as figurines, or statuettes, while the bigger-than-life-sized angels are true statues. 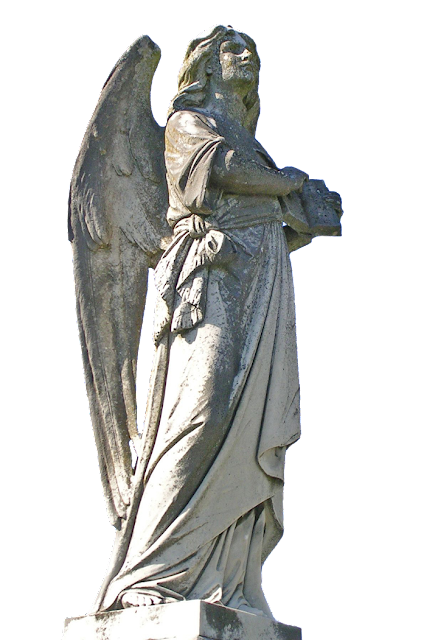 A concrete angel statue with open wings, holding a book. 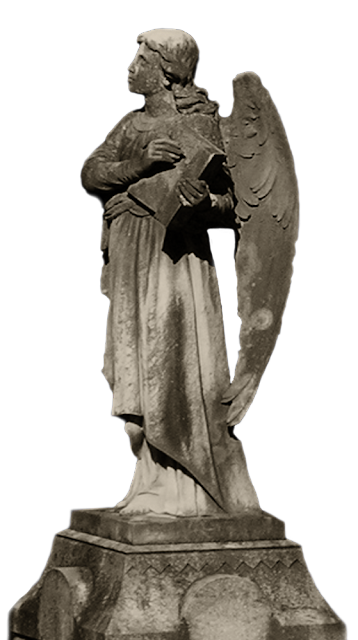 The opposite side of the first angel statue. 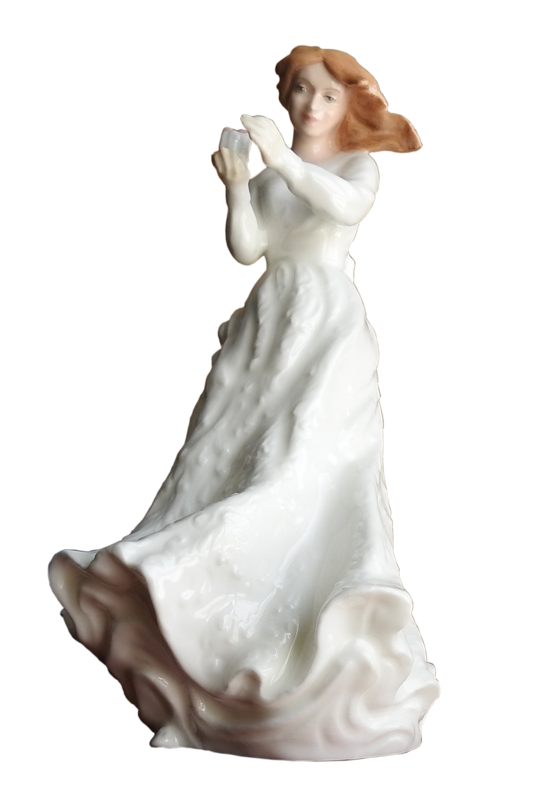 Royal Doulton Figurine titled "Thank You". 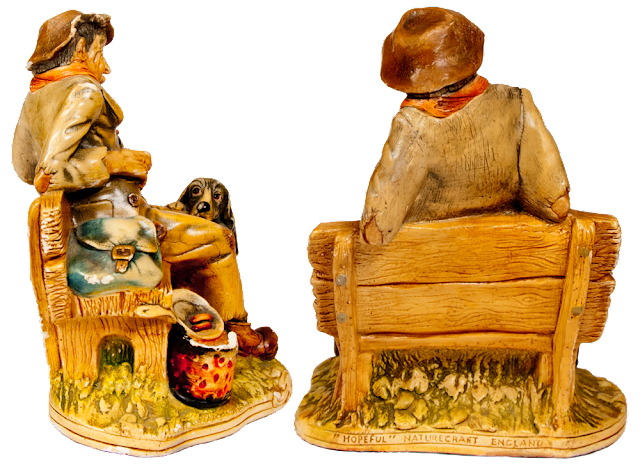 The old Tramp - 2 side views. 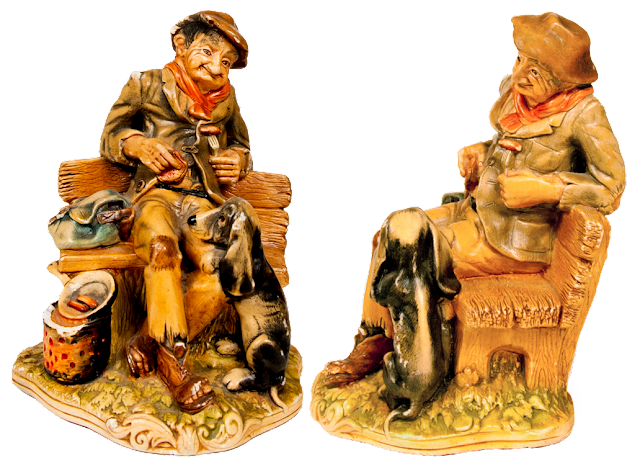 Two back views of the Tramp and Hound figurine.